If you're wondering where "Midtown" in Phoenix is, don't look at a map and try to figure out where the middle of the sprawling metropolis is, it's not there. And that's because when it got the name of Midtown, it was between downtown and uptown. Let's time-travel back to 1870, when Phoenix was first laid out. 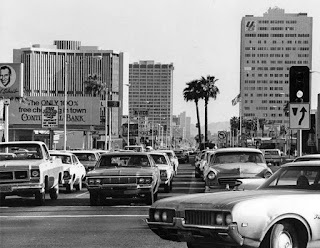 It went from Van Buren to Harrison (where the railroad tracks are) and from 7th Street to 7th Avenue. So at the beginning it would have been ridiculous to say "downtown", but eventually that's what that area came to be called. Of course it's open to interpretation, as the city doesn't exactly put up markers indicating exactly where downtown is, it's just something people figure out, by saying "I'm going downtown today". Of course as soon as people got used to saying "downtown", they started to refer to "uptown". In Phoenix that name became kinda official in 1955 when Uptown Plaza was built on Central and Camelback Road. Midtown really didn't mean anything until the 1960s when there were a lot of new buildings built on Central Avenue that weren't really downtown, but weren't really uptown. In fact, midtown buildings became a sort of "second downtown" as they were built a good distance from downtown and after a while the tall buildings just kinda met as they marched south. Of course now there's no break at all between what was known as Midtown and what was known as downtown. And I've heard many people say that they were going downtown when they were actually doing to Midtown. Actually, from here where I'm writing this, in Glendale, going to uptown makes me feel like I'm going to downtown Phoenix. At least a little. When someone mentions Midtown to me, I tend to think of no further north than Indian School Road and maybe as far south as Park Central Mall. But nowadays the boundaries of Midtown have expanded. To my surprise, the Midtown Neighborhood Association is contained by 3rd Ave and 3rd Street and I-10 / Hance Park up to Indian School Road, and in the future will be between 7th Avenue and 7th Street, south to Roosevelt and north to Camelback Road. Thank you for going to Midtown with me today, yesterday, and tomorrow! 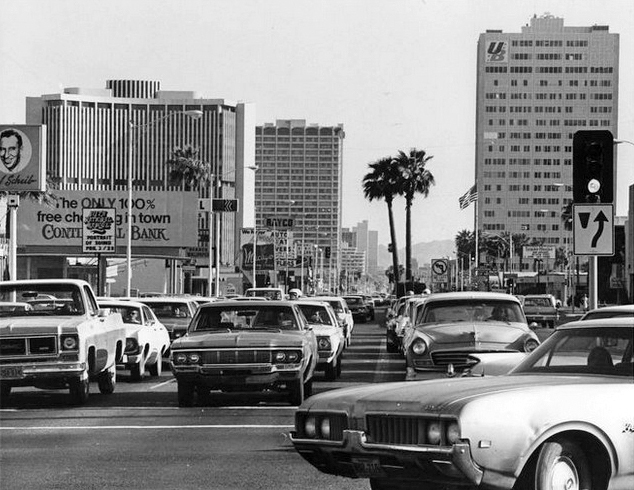 Image at the top of this post: Midtown in 1973, Phoenix, Arizona. You're looking south on Central from Indian School Road.